This sculpture is part of a series of allegorical figures of the Seven Deadly Sins. The series combines the modelling expertise of the Spitting Image team with Janice Tchalenko's flair for glazes and surface decoration. A snake coiled to form a vessel which leans on its side. Modelled, reduction fired and lustre glazed porcelain. 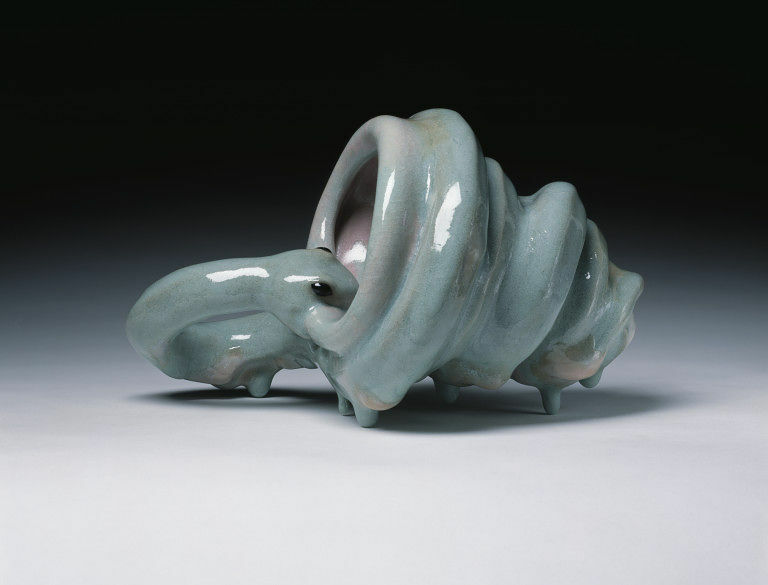 The glaze has melted in the firing to form little legs for the sculpture. E.364 to 370-1993 were shown in the exhibition 'Seven Deadly Sins' at the V&A, 1993. 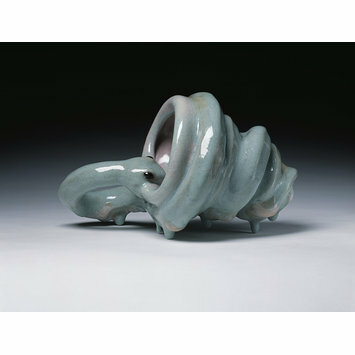 'Lust' sculpture, modelled, reduction fired and lustre glazed porcelain, a snake coiled to form a vessel, by Janice Tchalenko, England, 1993. The Seven Deadly Sins were produced by Janice Tchalenko in collaboration with Roger Law and Pablo Bach of the Spitting Image workshop, who undertook the direct modelling of the works.